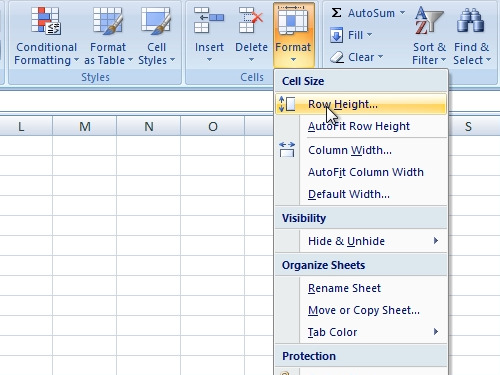 In this video tutorial we will show you how to change excel cell size. In order to change excel cell size, open the Microsoft Excel. For example, to change C6 cell size, in the “home” tab click “Format” and choose “Row Height”. Select “Row height” and press “ok”. Go to the “Format” again and click “Column Width”. Select the “column width” and press “ok”. 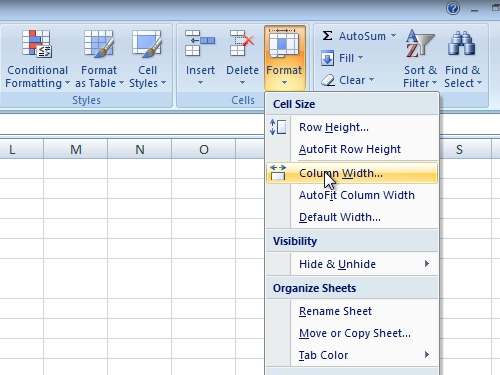 Now you know how to change cell size in excel.